You may think this is obvious, but if you're not a kitchen fitter or regular DIY'er, and you're just looking for some internal cupboard storage units such as pull out basket systems or integral waste bin solutions that are easy enough for anyone to fit, then measuring in the right way can often be confused for other measurements, resulting in inaccurate matches and in some cases, incorrect purchasing which may leave you disappointed - and we don't want that! So I've put together a very simple guide, just to make sure you're measuring the right parts of the cabinet - namely the internal dimensions - and pointing out some things to be aware of. First thing to realise is that the overall size of your cabinet is of no use to you. The cupboard walls could be 15mm thick or they could be 30mm thick - this is a huge difference that means taking external dimensions is going to cause you hassle. You need to be taking the internal width and height, to an accuracy of +/- 1mm or so.. Most applications have a tolerance of a millimetre or so but anything more than that is going to affect performance or suitability - so be accurate! Top Tip: You need to consider any support beams, protruding hinges, sinks, pipes, or any other objects or components of your unit that may be protruding into the space of the internal cabinet area. This is where your good judgement needs to come into play.. For example, if you have a 25mm support beam running front-to-back along the sides of the cabinet on the inside for structural support, then chances are you will be ok mounting the shelf just above the beam, meaning the intrusion of the support beam will not in this case impact your cabinet width suitability for the basket set you're looking at.. However if you were looking to fit a full-framed bin set in the same situation, which required a sustained width from top to bottom, then you may want to consider a bin system that has just a base-fitting so the support beam wont impact the fitting. 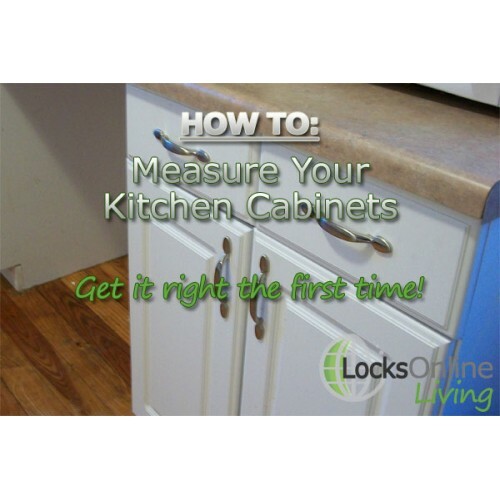 You may not consider this initially when measuring your cabinet, but it IS important! Many components such as drawer runners require a minimum thickness of wood to be screwed into to provide the strength the runner is designed to hold. By the same token, some components may require that the cabinet thickness must not exceed a certain measurement else the product wont fit - so always be conscious of the cabinet carcass thickness! It may differ from panel to panel so make sure you know the score! 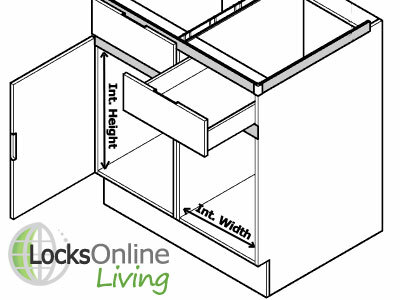 If you're wanting to mount shelving or something to the insides of your cabinet doors, then you need to be savvy in your approach to measuring the AVAILABLE / USABLE door dimensions. By this I mean that just because your door is 800mm x 400mm, does not mean that there is not an overlap on the cabinet itsself when the door is closed. You will most likely lose a good 50mm of door surface area due to an overlap... 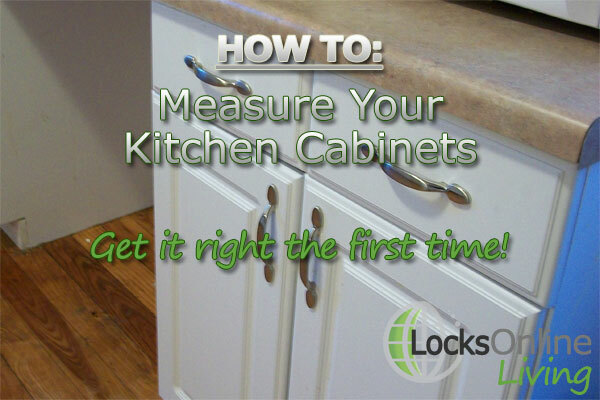 So you need to open the door, and instead of measuring the door, measure the open space area of the very front of your cabinet that the door closes against. Now you have a set of accurate usable door measurements. Top Tip: you should of course also be aware of any shelving or similarly immediate obstacles within your cupboard that may restrict what you can mount to the inside of your door! So there you have it folks, my (hopefully) comprehensive guide to measuring your cabinets in a realistic manner that is sensible and appropriate for selecting suitable add-ons for your kitchen units! Many thanks for taking the time to read it, and I hope it helps!